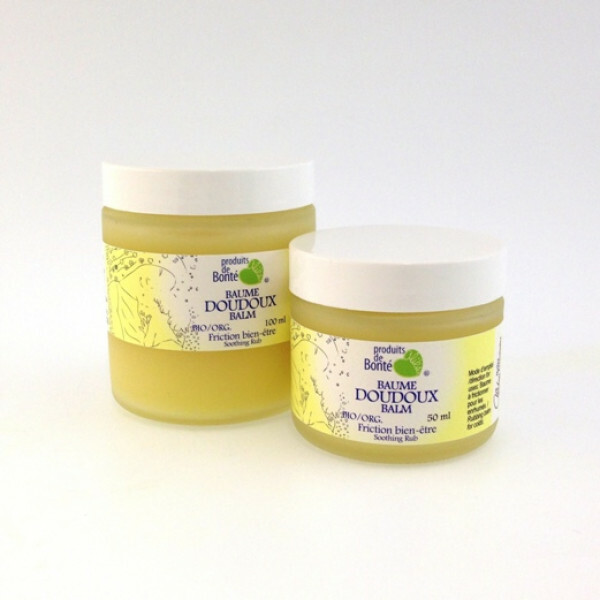 Balm used to rub on persons affected by a cold or to sanitize hands. Properties in aromatherapy: Rubbing balm with essential oils well known for their antibacterial, antiseptic, antiviral and expectorant properties. Indications: Nasal congestion, cough, sore throat. Hand sanitization.